Helicopter Crashes on US Aircraft Carrier in Asia; Sailors Hurt - Integration Through Media ....! 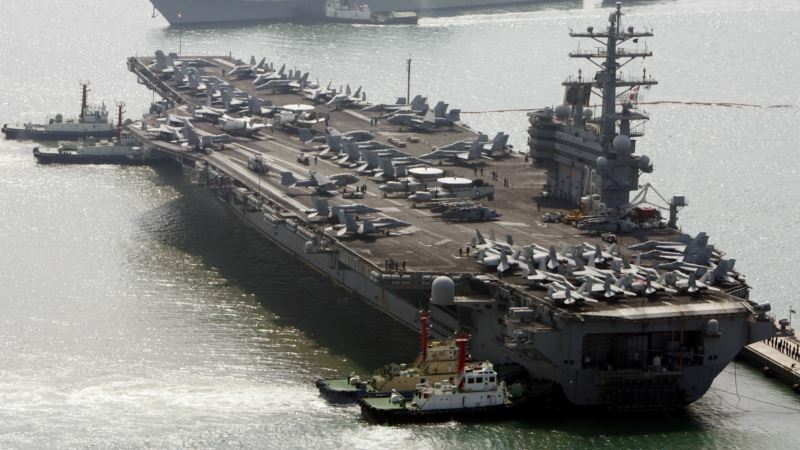 (VOA): An U.S. Navy helicopter has crashed on the flight deck of the aircraft carrier USS Ronald Reagan, causing nonfatal injuries to sailors. The Navy’s 7th Fleet said in a statement the MH-60 Seahawk crashed shortly after takeoff Friday while the carrier was off the Philippine coast. The Navy said all affected sailors were in stable condition and their injuries were not life threatening. It didn't say how many sailors were hurt. The Navy did not give details on any damage to the helicopter or the aircraft carrier, but said the ship was fully capable to conduct its mission for security and stability in the Indo-Pacific region. The Navy said the crash occurred while Ronald Reagan Strike Group was conducting routine operations in the Philippine Sea. The cause was under investigation.